ALL OF SPACE AND TIME—Following a U.S. district court ruling that allowed the multinational conglomerate to acquire Time Warner, sources confirmed Wednesday that a rapidly expanding AT&T had proceeded to merge with the entirety of existence. 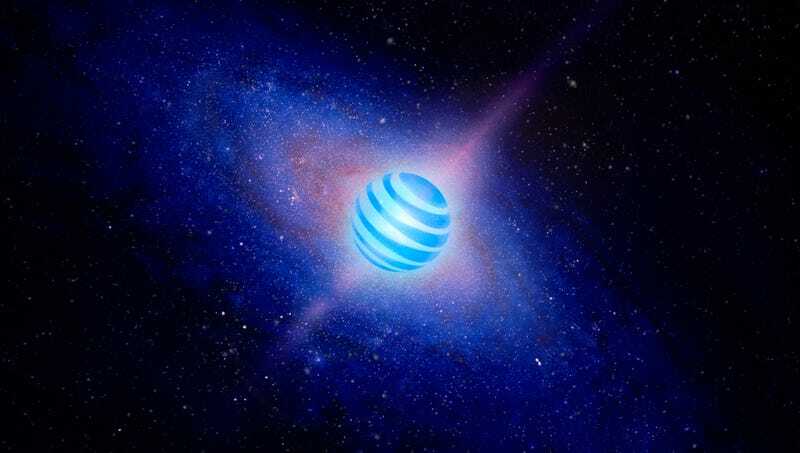 Upon absorbing the totality of things—including Earth, every known astronomical body in the universe, and the very cosmos itself—the Dallas-based telecom company has now reportedly permeated all of intergalactic space, where even single atoms drifting through the ether have become tiny subsidiaries of the boundless corporation. According to sources, who themselves are but extensions of the all-encompassing AT&T–Time Warner singularity, everything that is, was, or ever shall be has now been acquired by the briskly spreading business entity. At press time, an amorphous spokesbeing stated that AT&T had consolidated all matter, energy, and extra-dimensional space under one Delaware-incorporated holding company.